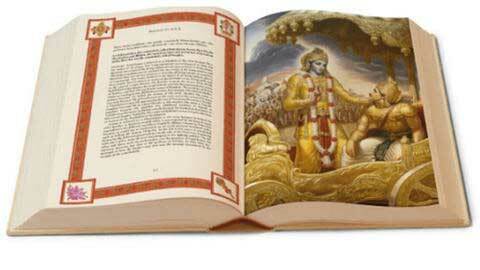 If you are looking for a single Hinduism Holy Book like the Quran or the Bible you will be disappointed. Hinduism is not a scripture based religion. It is not a religion in the conventional sense. It is a way of life. Hindu religion too has innumerable holy books. The essence of it all can be summed up in ‘Tat Tvam Asi’ – Thou Art That. Ramayana and the Mahabharata – How to follow Dharma? – the Hindu way of life is explained in these scriptures. Yoga Vasishta – Conversation between Lord Ram and Sage Vasishta. (Gems of wisdom from Yoga Vasishta). All these scriptures together contain millions and millions of words. But they all suggest the same thing. Follow Dharma. How to follow Dharma? By understanding that the Supreme Truth (God) resides in all animate and inanimate.